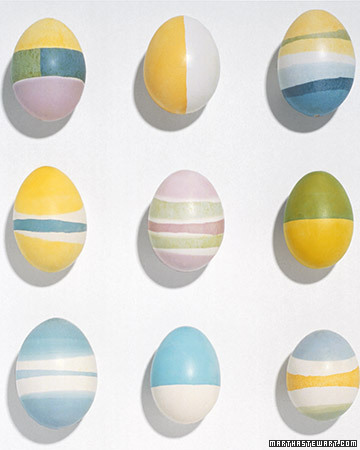 Easter comes late this year = ample time to gather ideas for activities and crafts. i adore this martha stewart photo gallery of Easter egg designs. some over the top and some ideas way too cute not to try! cutesy up a clock with this easy-peasy cloth clock tutorial. the colourful bloom necklace from bel kai designs is darling. i've seen quilts. cushions. art prints with this patterned design... but never a pretty piece of jewelry. kylie johnson is an australian poet and potter & anthropologie now carries 3 of her gorgeous pieces. love. these would give me happy feet. on my list of to-make's for H are these fluffy felt bunny finger puppets. how sweet. 6th street design school always has the best etsy round-ups. this week, a collection of Suzani patterned pillows . our family room chairs match pillow 7!